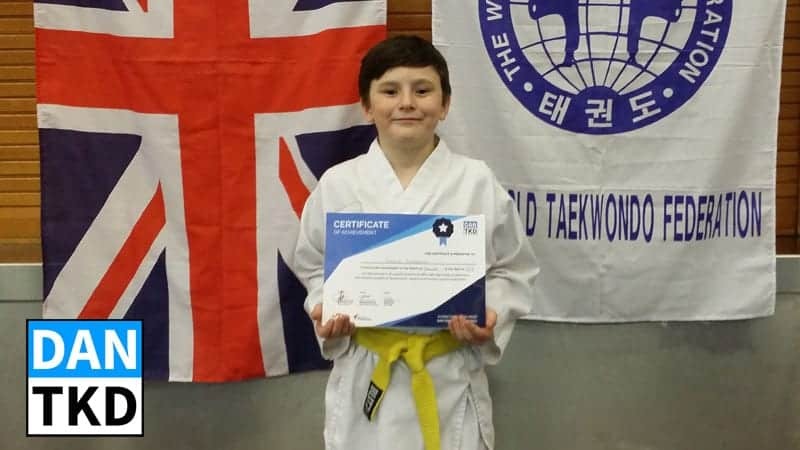 Gaius has trained with us for a few years now (some of you know his lovely mum Michelle in the Adult Class). 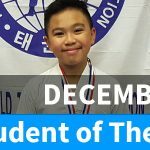 He struggles most times with his coordination and in particular struggles with learning the correct order and direction in his Poomsae. At one point last month Gaius was seen coaching one of the younger students how to do proper push-ups and then helped them with their Poomsae! All without any instruction from the instructors. 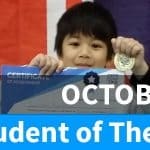 January saw Gaius really increase his effort into his training which has already started to reflect on his ability to perform well in class, as well as a more focused behaviour and attitude.